When it comes to life and to living, we don't know what's going to happen. We don't know where we'll be, or who will be there with us. The future has yet to be written, and as the days unfold, so do our stories. I think that's kind of the magic of it all. That we live with endless adventures and possibilities. We can't control everything around us, nor, should we want to. 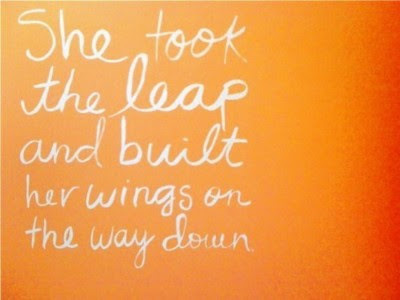 Which is why, most of life is a leap of faith. Faith in ourselves and in others. Faith in the sky, and in our wings. Those first steps in a new direction can be scary or difficult. Do we go cautiously? Or do we throw ourselves without warning, into the wind, and hope for the best? 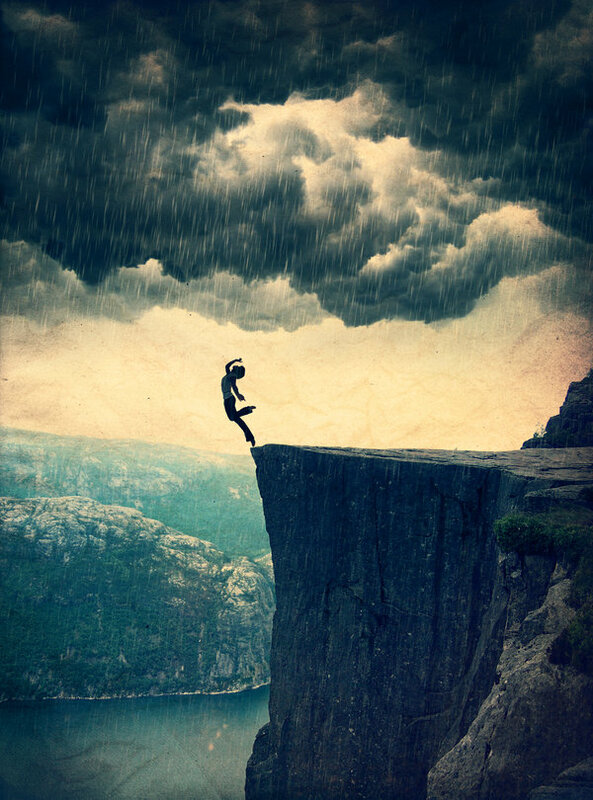 Maybe our landings will be rocky and we find that we have to pick ourselves up and dust ourselves off. Maybe they will be smooth, and for a while, we find ourselves content. Or maybe, with the biggest leaps of all, our landings will take us to a place where dreams are reality, where our hearts fly, and where our story truly begins. One leap could start it all. What a beautiful thought, it's so true! Thanks for the inspiration:) and that second picture is so pretty. Great post, very thoughtful!Sometimes it is hard to just let go but it is what we need the most. You are such a good writer and articulate your thoughts so clearly. Love your blog! uh, that was gorgeous! You are so inspirational lady! Thanks for that! I absolutely love that first quote! So beautiful! You should be a writer so beautiful!! Please check out my YouTube channel ...YouTube.com/heather08k13 I'd appreaciate it so much!! So sweet and very inspiring! Oh my goodness, thank you so much for posting that! I can't tell you how perfect it was, timing wise, for me and our life-which is about to have a big change. Perspective...I needed a new one and faith was the perfect way to go. Thanks again, and I LOVE your blog! I absolutely love this post. Really needed this. Thank you. Great thoughts - and this year is all about taking those leaps of faith. The first steps are scary, but once you get going the fear turns into more excitement of the unknown. I love when you share thoughts like this. Wonderfully written!! I love the quote on the first image. Your content is very well-written and intuitive. I just discovered your blog and can't wait to see what you have in store. You and your husband are a gorgeous couple and your blog is layed out in a great fashion. Reading this post make me think that you are about to take the leap, or maybe have you already took one. In both case I hope you'll have a smooth landing. This is beautiful and exactly what I needed to hear right now, thanks Katie! Absolutely perfect! Thank you! Have a great weekend! "When you come to the edge of all the light you know and you're about to step into the darkness Faith is believing one of two things will happen: there will be something solid to stand on or you will learn to fly"
Loved your post! It reminded me of this quote. Loved you 1st one too. Thank you! Thoughtful, Mindful, and Pithy. I enjoy also your creative picture match. I recently took a leap. I had no idea my life could be this wonderful. I vote for "...throw ourselves without warning..."; building the courage is the hard part, but the return is oh so great. this was an amazing post! it was just what i needed to read today.